2017 budget will be rolled over to 2018 – Adeosun – Royal Times of Nigeria. The Minister of Finance, Kemi Adeosun has said the Federal Government plans to roll over at least 60 percent of 2017 capital projects to 2018 budget proposal adding that there was no stoppage in terms of capital releases and projects. Adeosun made this known when she appeared before the Senate joint committees on finance and appropriations. She was accompanied by the Minister for Budget and National Planning, Udoma Udoma to give an explanation on releases so far made for the implementation of the 2017 budget. Adeosun explained that the decision to roll over 2017 budget to 2018 was based on the advice of the Senate committee on appropriations and finance to the executive on how to make the budget more implementable. She said, “The way in which we allocated the fund, the prioritisation was according to the objectives of the economy and growth plan. We were focused on project completion. So we prioritised projects that were nearer to completion and, that were critical in the first releases of capital. Minister for Budget and National Planning, Udoma said the federal government had been working and trying to get the 2018 budget to the Senate before the end of October. Udoma also debunked the report that they had not released many funds in terms of the capital budget since January. He said, “We intend to have discussions with you so that we can finalise that and take it to the federal executive council so that we restore ourselves to the January to December fiscal year. 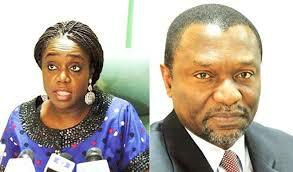 This is to make it much easier to report on the performance of budgets,”. “…Between January and June we still have 2016 Budget in operation and we allowed it to flow unhindered,”.